Race-Spec Apache RR 310 Generates 38HP with 175 KPH of Top Speed! Race-Spec Apache RR 310 Unleashed! 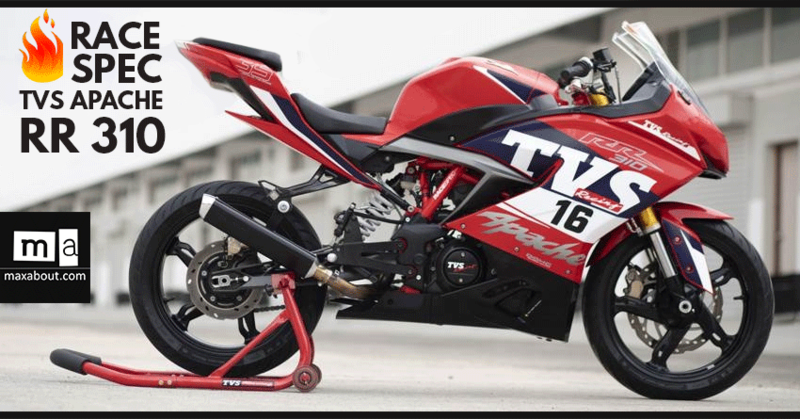 The concept of TVS Apache RR 310 was designed to mark the TVS Racing’s 35 years of experience on the track and now its race-spec version is all set to make its grand debut in the Indian National Motorcycle Racing Championship (INMRC). It will be conducted as TVS Apache RR 310 One Make championship with 12 riders competing in the championship. The first race under the championship will take place at Kari Motor Speedway, Coimbatore, on June 8. Race-Spec Apache RR 310 Unleashed! Coming to the specs, the standard version of Apache RR 310 is powered by 312.2cc engine that churns out a maximum power of 34 HP at 9700 rpm and an utmost torque of 27.2 NM at 7700 rpm with top speed of 160 kmph where as the race-spec engine will be powered by a tuned version of 312.2cc engine capable of producing maximum power of 38 HP at 10,300 rpm and has a top speed of 175 kmph. Coming to the cosmetic changes, the race-spec edition of TVS Apache RR 310 gets a taller windscreen, backward aligned foot pegs to offer maximum control while riding the motorcycle. In order to improve the aerodynamics, the bike gets a performance exhaust plus aerofoils which are mounted on the fairing. One of the major changes include removal of the head light in the race-spec edition. 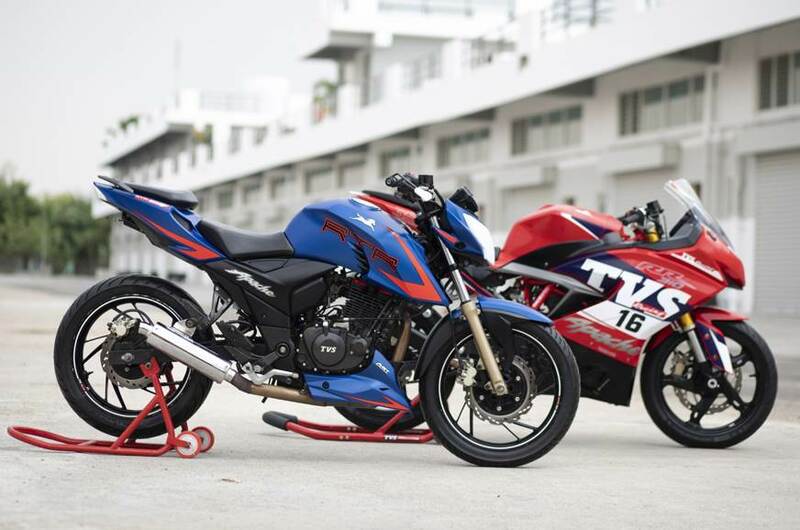 The stiffer suspension is powerful enough to get the bike utmost control over the road and upgraded brakes are bound to do wonders on the racing track.